D02 Sensor, a Dissolved Oxygen Sensor (DO2). 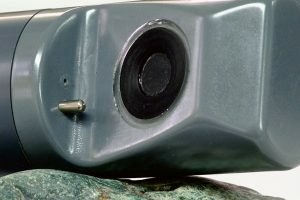 The next generation in trouble-free oxygen sensing design from the Seametrics stable of smart sensors. It utilises fluorescence of a stable, immobilised ruthenium-based film matrix. So this DO2 sensor provides precision optical transmission and detection to measure oxygen concentration in a fluid. Equipped with integrated datalogger and Aqua4Plus software, this water quality instrument provides convenient, research grade,high-quality data to the user. Includes Aqua4Plus control software for setting up flexible recording sequences, retrieving data, monitoring real-time data, and viewing collected data. Municipal and industrial water treatment facilities.